Writing a business plan helps social entrepreneurs define their mission and how they'll achieve it even when the needs of people, planet and profit are in conflict. When business owners who have three bottom lines -- people, planet and profit -- they can get confused about how to balance competing responsibilities. Is increased profit more important than a sustainable supply chain? Is a sustainable supply chain more important than paying a living wage? Is paying a living wage more important than profit? Round and round it goes! Social entrepreneurs really need a clear description of their business goals and how to honor what are sometimes competing commitments. How will that mission be accomplished? When those three bottom lines conflict, which one takes precedence? In a free webinar, Business Plan Essentials for Social Entrepreneurs, entrepreneur and New School Adjunct Professor Geri Stengel will lay out the essentials of writing a business plan for a social enterprise and keeping that enterprise on-course -- all its courses. The webinar is free, but registration is required. "The process of writing a business plan brings issues into focus," says Stengel. "It prepares the social entrepreneur for the decisions that crop up when trying to do good while doing well." 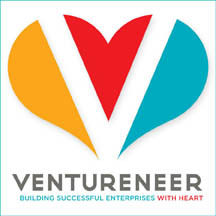 Stengel is an experienced and successful entrepreneur, and founder of Ventureneer, which provides online learning and support for entrepreneurs using a blend of traditional instruction and informal, peer learning that takes advantage of Web 2.0 technology. This free webinar, hosted by Sparkseed.org, an organization dedicated to increasing the impact of social enterprises will take place at 7 p.m. EST on Thursday, February 25. Social enterpreneurs will learn how to chart the course of a social enterprise and ensure that the needs of investors and partners, as well as benefits to people and planet, are taken into account. Social entrepreneurs, small business owners who want to add "people and planet" benefits to their bottom line, and those thinking about using their business skills to make a difference will all benefit from this free webinar. To register or for more information, go to http://sparkseed.supercoolschool.com/class/1226/Business_Plan_Essentials_for_Social_Entrepreneurs. Sparkseed is a nonprofit organization that supports the next generation of social entrepreneurs. We harness the passion, innovation, and talent of college students with world-changing ideas to scale the impact of their social ventures. Over the past two years, Sparkseed has provided mentoring, seed money, pro-bono consulting, and web tools to nearly 50 social innovators throughout the country.